C: *blogs about pie during class* Bobby, I need pictures from your camera. C: Bobby, I need pictures from your camera. Combine flour, salt, and sugar in large bowl. Fold in butter and shortening using a fork or spatula until the mixture resembles coarse sand. Add ice water and knead with your hands until a dough forms. More water may be necessary, but be careful not to make the dough mushy. Divide dough into two halves and flatten both. 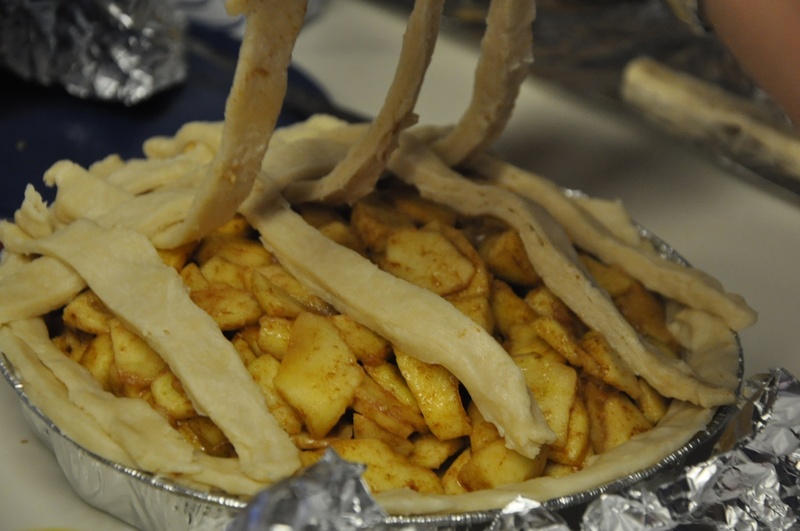 Place one disk in a pie tin and cover the other with aluminum foil (what we used) or saran wrap (what we should’ve used). 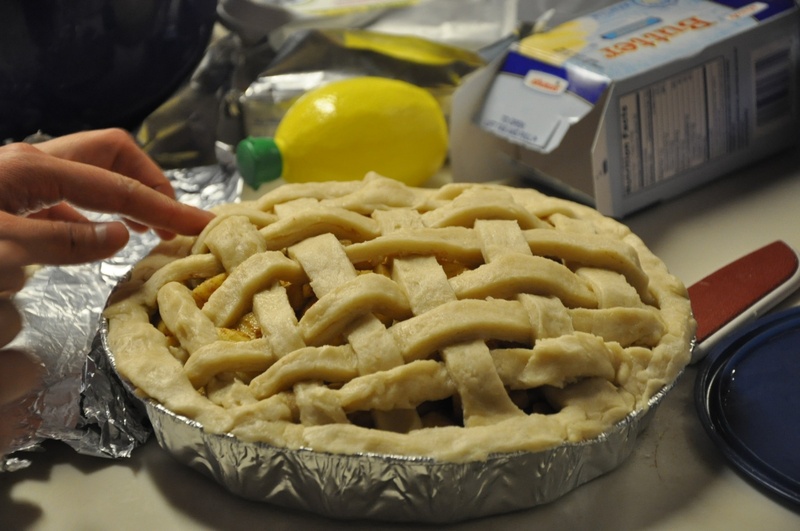 Refrigerate for 45 minutes to an hour while you make the filling. Preheat oven to 425 degrees. 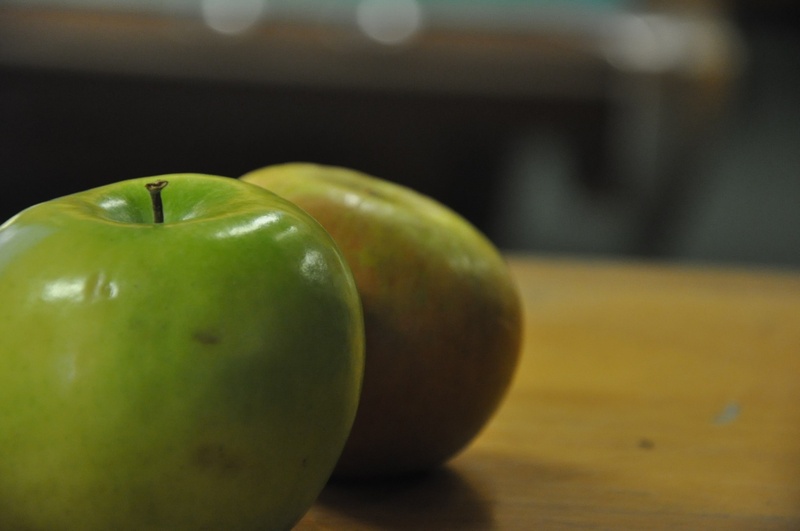 Peel, core, and dice all the apples. 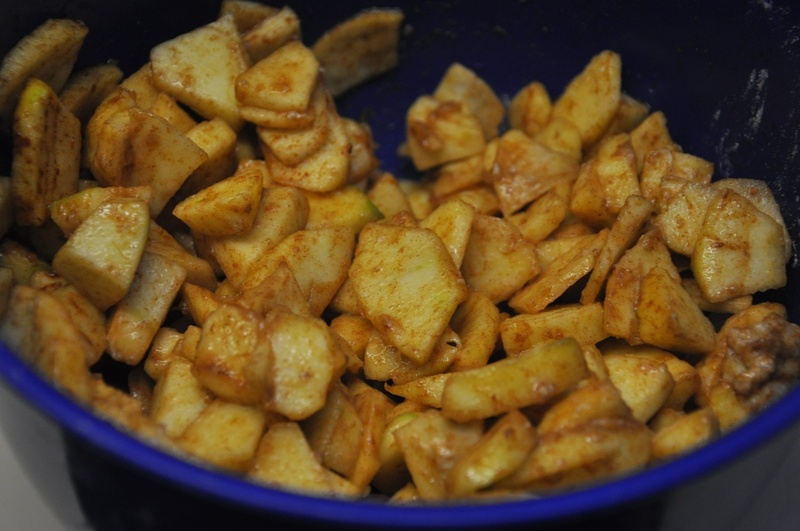 Combine apples, lemon juice, sugar, cinnamon (and other spices, if applicable), flour, and salt in a large bowl and mix until all the apples are covered. Taste testing is highly encouraged. 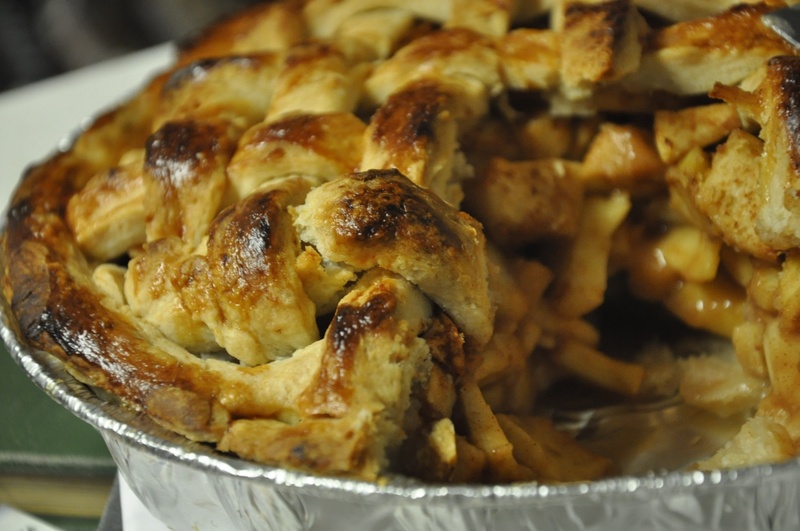 Turn apples into dough-covered pie tin. 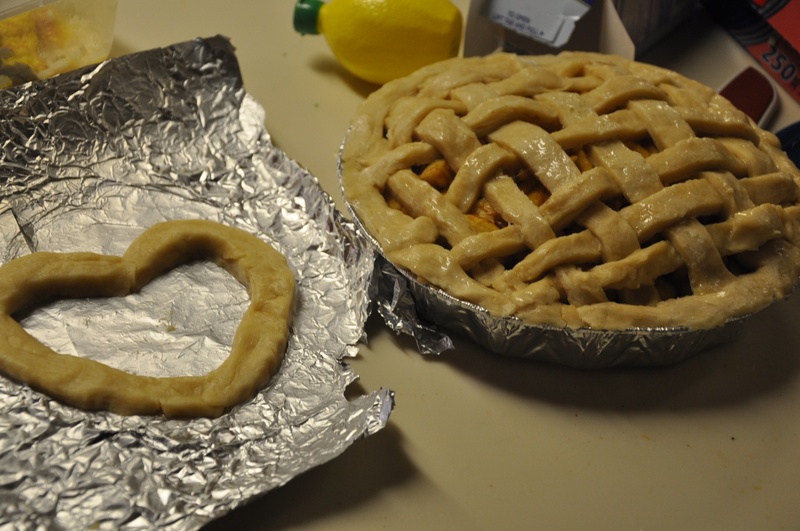 Cut the second dough disk into strips and make lattice crust. Smitten Kitchen has an excellent method here. Brush egg white over crust (we just used a fork, but if you have a paintbrush, by all means…). The remaining dough can be used creatively. Place pie on lowest level of oven and bake until crust is golden, about 25 minutes. Lower oven to 375 degrees, rotate pie, and bake until the juices bubble, about another 30 minutes. Note that at this point, the pie filling is extremely hot. 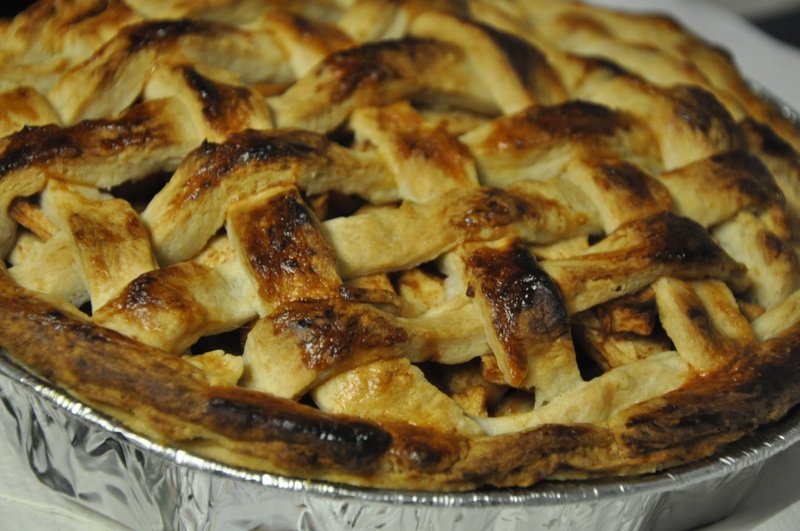 We know you want to eat it, but for the love of your tongue please let your pie cool! Serves between 1 and 8, depending on slice size and selfishness factor. 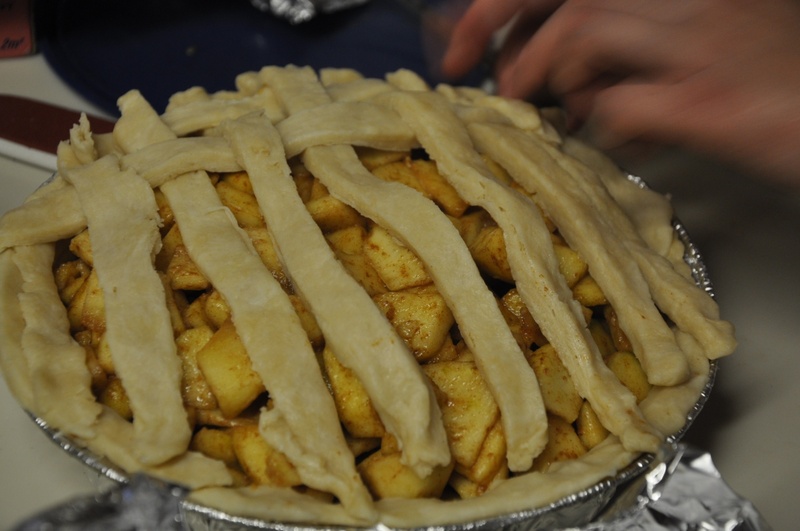 Ways to prolong procrastination: Bake the pie in a dorm kitchen instead of in Bobby’s kitchen. Run between the kitchen in the basement and Christine’s room on the third floor every five minutes to retrieve forgotten ingredients or utensils.